In TCM, the ear can be seen as a micro-system of the body where many channels converge and pass through. Through the stimulation of these points, it is believed that we are able to regulate the state of health of the inner organs. Meridians serve as network of communication between the interior and exterior environment. Under physiological circumstances, the ear is nourished by Qi and Blood, which are produced by the Five Organs. During a consultation session, a physician inspects the appearance of the ear to provide more insights of the health of the inner organs. Hence, through the stimulation of the reflex points located on the ear, we are able to regulate the organ functions to treat and/or prevent diseases. TCM utilises various methods, such as acupuncture, oral herbal prescription, cupping and therapeutic massage to promote harmony within one’s body. Auriculotherapy, often used to complement the above mentioned methods, is another effective method used by TCM physician to treat and/or prevent diseases. ‘Auriculo’ refers to the ear, an orifice where many meridians pass through and is believed to represent the whole body in an inverted fetal position. The auricle (outer ear) contains numerous auricular points, which through stimulation, are able to regulate the state of health of the inner organs and systems. How Does Auricular Plaster Therapy Work? A physician inspects the ear for tender spots or color change and chooses the specific points as denoted by the auriculotherapy chart. A black vaccaria （王不留行） seed attached to an adhesive tape is placed over corresponding points on one ear (usually 3 to 5 points are selected). Patient is advised to gently knead or press the points, 3 to 5 times a day, each time lasting about 1 to 3 minutes. Patients may experience pain, tenderness, and/or a warm sensation. Typically, the tape stays secured for up to five days. The stickers last about 3-5 days. Patients are advised to return for a review, and if required, further treatment may be done on the other ear. Valid from 1 Jun 2018 to 31 Jul 2018. No limit to the number of redemption. Not applicable at Eu Yan Sang Premier TCM Centres. Consultation with the physician is required. Subject to physician’s diagnosis to determine patient’s eligibility. 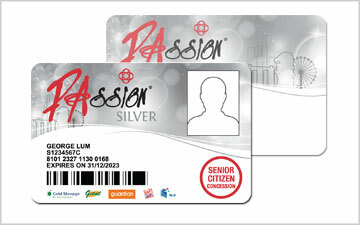 Not applicable with any other discount voucher, discount, package, privilege card, corporate plan and managed care plan.